Great addition to the Suite, Vamp! Are you or Andy going to be adding a Tiles to it? Either way, some excellent quality work you are producing and I'm very proud to have it on my desktop! I have ElectroSexual Windowblind, CursorFX, and Icon pack installed but I can't figure out how to get the SysMetrix to install. Can someone tell me which program opens it? sysmetrix does, i sent you a pm. 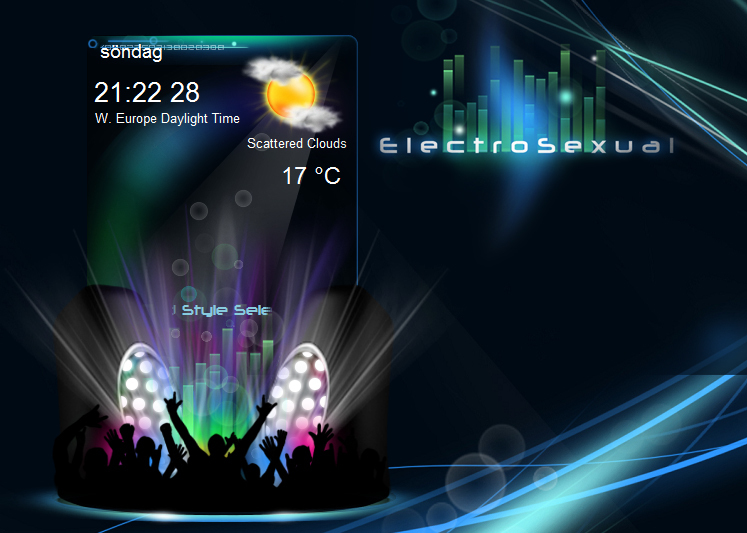 I have Sysmetrix install...how to use ElectroSexual Sysmetrix?? Download Sysmetrix. Click save file. Should go to your download folder. You might have to unzip it. Click on it and then click install, takes about a minute. This skin is absolutely beyond gorgeous!!! Thanks so much!!! Then click to open sysmetrix, or click configure if you are already using it and the skin should be in the list. Hint: This works for Rainlendar skins as well. Just moving to Rainlendar skins folder. This gadgets does not work, my windows is 8!!!! Needs to be update!!! !